MOSCOW, Russia. 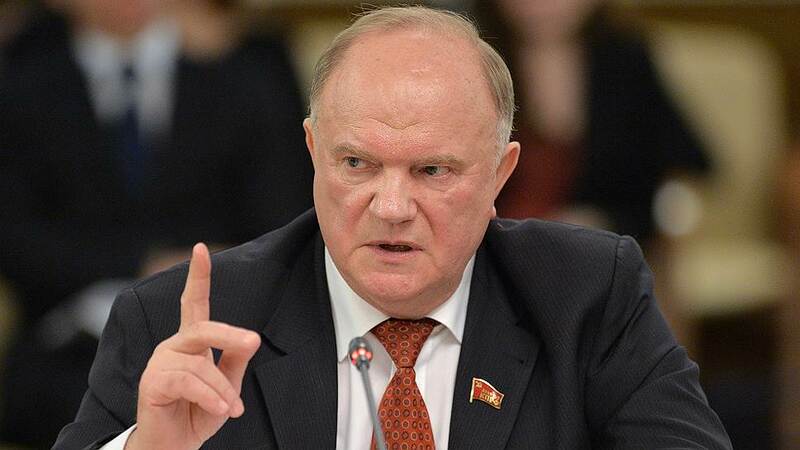 Communist Party leader, Gennady Zyuganov, called the draft federal budget for 2018-2020 “a budget of the oligarchy”, which will increase stagnation and poverty. On Friday October 27, the State Duma considered the first reading of the draft budget for 2018 for the planning period 2019-2020. According to the draft of the Ministry of Finance, the budget deficit in 2018 will be 1.3 trillion rubles or 1.37% of GDP, in 2019 it will be 867 billion rubles or 0.84% ​​of GDP, and in 2020 – 960 billion rubles or 0.87% Of GDP. In his opinion, the draft budget does not meet the current challenges and can only aggravate the split in Russian civil society. The Communist Party leader stressed that incomes and expenditures are constantly declining. Zyuganov noted that “in plain language” this means that the “share of the national pie” created by the working people is constantly shrinking in the budget. Zyuganov’s main issue with the budget was the reduction in government expenses for 14 out of 13 articles listed within. He explained that for eight of these articles expenses are simply cut, and for four other articles, a small increase is offset by inflation, and as a result, real costs are below the ones prophesized. “I do not know why the president has not reacted to this helplessness, to this impotence of the financial and economic blockade on behalf of the government,” Zyuganov said. President Vladimir Putin does not oversee forthcoming bills until they pass all the stages of parliamentary negotiation – that is until his signature is required. It remains to be said that a majority of Russia’s parliament and government organs are liberal representatives, both economically and culturally, whereby it is only the President that stops certain bills being passed. Without looking at the document in detail (which is not yet available to the public) it makes sense to assume that the Communist Party leader has every right to become concerned at this early stage.